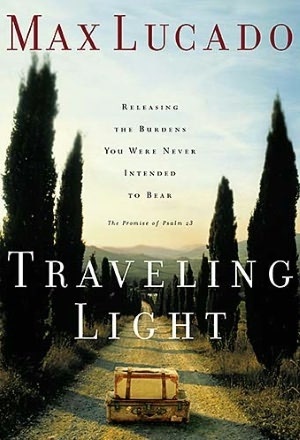 Best Books for Men: Book review - "Traveling Light: Releasing the Burdens You Were Never Intended to Bear"
Book review - "Traveling Light: Releasing the Burdens You Were Never Intended to Bear"
“Traveling Light” is Max Lucado’s uplifting meditation on the most famous psalm in the world, Psalm 23. Lucado goes through Psalm 23 verse by verse, showing again and again how the Good Shepherd wants to release you from burdens you weren’t meant to bear. There are plenty of burdens that weigh people down and sap their energy: discontent, weariness, worry, hopelessness, guilt, arrogance, grief, fear, loneliness, shame, disappointment, envy, and doubt, to name a few. At six or seven pages each, the chapters are bite-sized. There is a 47-page study guide in the back of the book small groups can use for discussion. Lucado wants his readers to realize there are lots of benefits from getting rid of burdens. When your burdens are lifted you are able to live confidently and joyfully, and, you will discover you have more energy. If you have read any of Max Lucado’s books, you know his writing style is easy and conversational. 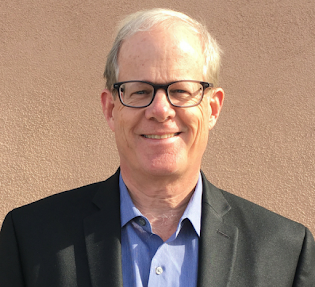 His points are illustrated with humorous or touching anecdotes most people can relate to. Most significantly, Lucado has a unique ability to reach people in the depths of their soul. Everyone who carries heavy burdens will be grateful for this scriptural reminder that the Good Shepherd is available to help lighten their load. Max Lucado’s “Traveling Light” deserves a place alongside another popular book on Psalm 23, “A Shepherd Looks at Psalm 23” by W. Philip Keller.